Hobbies/Interests: Just your average Filipino, Guamanian, Mexican animator to be. I enjoy drawing, volunteering, playing/watching/coaching sports, taking beach & museum trips, movie marathons, and anything Disney (or Dat knee). Favorite Food/Place to Eat: Homemade family recipes and avocados. Favorite Song/Artist: My music library consists of songs by different artists spanning multiple decades and genres. RnB, Pop, Rap, Broadway, Reggaeton.... I like songs to dance and have fun to. Lately, I've been listening to a lot of T-Pain and have had "Love Lies (Maw Remix)" on repeat. Craziest Thing you've ever done: My friend and I hopped an eight foot gate to escape the police who were trying to shut down a party in a rich neighborhood. Favorite memory of FG: Friendships Games is such a unique event that brings together so many amazing people: FG 30, 31, 32 (and soon 33) are my favorites. I will say one of the best moments is seeing everyone's energy explode when they step onto campus and SPUF with each other. I've always enjoyed the creativity that every school brings to their theme. What Pasa has done for you: PASA is my drive to be a better person: socially, culturally, intellectually, creatively. They have given me confidence, support, family, and amazing memories. When I look back at my college years, PASA will be one of the things I will be the most proud to be apart of. Something people don’t know about you: I used to do Polynesian dancing and was able to perform a few times at the L.A County Fair. What Pasa has done for you: PASA has given me so much since I’ve joined! Not only has PASA introduced me to my roommates and lifelong friends, PASA has given me a second home & family! Something people don’t know about you: I have scoliosis. Craziest Thing you've ever done: Stayed on PASA board for 6 straight semesters... LOL. What Pasa has done for you: PASA has been my home away from home. I've made life long friends, pushed my leadership abilities far beyond what I thought was possible, and fell in love with my culture along the way. Something people don’t know about you: I have a black belt in Shotokan Karate. Favorite memory of FG: getting 1st place in conveyor during FG31!! Hobbies/Interests: binge watching "The Office"
Favorite Song/Artist: Chance the Rapper "Sunday Candy"
Craziest Thing you've ever done: I almost drowned twice when I was younger. Something people don’t know about you: I've never dyed my hair but I've always wanted to. Major: Communications, Entertainment and Tourism Concentration. CTVA minor. Hobbies/Interests: I enjoy watching videos on YouTube, learning choreography, listening to music, and trying new food. Also, I like kpop lol. Favorite Food/Place to Eat: I don't have a singular favorite food. I just really like eating. But Mexican and Asian food are gr8. Craziest Thing you've ever done: In a little under 2 weeks, I stepped foot in 5 European countries, traveling mostly alone, after studying abroad for a semester in Norway. Favorite memory of FG: I've only ever been to one FG, but I just remember thinking it was really cool watching all of the people from different schools interact. 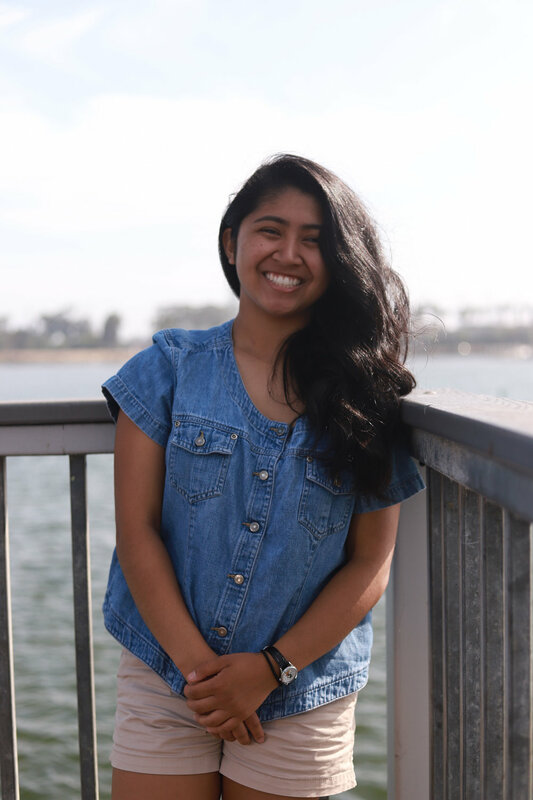 What Pasa has done for you: PASA has given me the opportunity to connect with wonderful and talented people as well as explore and learn more about Filipinx culture. Something people don’t know about you: I'm technically a 2nd degree black belt in Taekwondo. Something people don't know about you: I'm trying to publish my own poetry book! Favorite memory of FG: This year will be my first FG so I'm excited to make the most of it this year! What Pasa has done for you: Being a transfer student, it can be uncomfortable being in new places. PASA has provided me with a space that I can feel comfortable in, and it has provided me with friendships that I know will last long after I've graduated. Something people don't know about you: I was born in the Philippines! Craziest Thing you've ever done: One time I told my mom I was home but I was really out with my friends. Favorite memory of FG: Getting the opportunity to participate in Final Rampage and winning 2nd place overall during FG32! What Pasa has done for you: PASA has provided me with a home away from home, and I am forever grateful for that. Hobbies/Interests: I love traveling and going on adventures with friends to places I have never been before. I also love being exposed to new and good music. Favorite memory of FG: Seeing all the different schools dressed in their themes along with the energy they bring for SPUF. What Pasa has done for you: PASA has helped me expand out of my comfort zone and allowed me to gain so many relationships I will cherish forever. Something people don’t know about you: I grew up listening to underground hip hop and rap music before I understood what the lyrics even meant. What Pasa has done for you: PASA has given me another home and friends that I am entirely grateful to have in my life. Hobbies/Interests: I enjoy going to the gym, playing sports, going on hikes or to the beach; anything where I’m outside or being active really! Although I enjoy being active, I do still love to be a homebody where I watch tv and be lazy all day lol. I’m also an amateur barber lol, it’s become a fun hobby of mine and I get to keep the homies fresh! Craziest Thing you've ever done: Performing Idaw at PCN is pretty high on my list of crazy things! Favorite memory of FG: Winning games! I’m a very competitive person, so I loved being hyped with all of PASA after winning any of the games. What Pasa has done for you: PASA has provided me a home away from home. Something people don't know about you: I have 13 toes... LOL im playing. I have a pet snake named SsSsSsSZA! Craziest Thing you've ever done: When I was younger, I went on DisneyChanel.com without asking my parent's for permission. I know... a rebel. What Pasa has done for you: Not to be dramatic or anything, but PASA has given me everything. This organization has provided me with a place I can call home filled with great friends and memories that I will hold dearly. Favorite Food/Place to Eat: kettle corn! Hobbies/Interests: I love to eat and go to the gym and dance in my free time. I also love to draw and practice my art skills in my free time. Craziest Thing you've ever done: The craziest thing I have ever done was swim with sharks and sea turtles in Maui. Favorite memory of FG: My favorite memory of FG was performing on stage w/ IP, and being able to compete in games. My favorite game was most definitely Nasty. Something people don't know about you: I’m mixed. Craziest Thing you've ever done: I once saved Kim Kardashian's life. JK. Please don't sue me. Favorite memory of FG: It's tied between Performing with IP and Final Rampage - when that guy couldn't guess, "whisk". Something people don’t know about you: I was born on Guam and lived there until I moved to California in 2010. 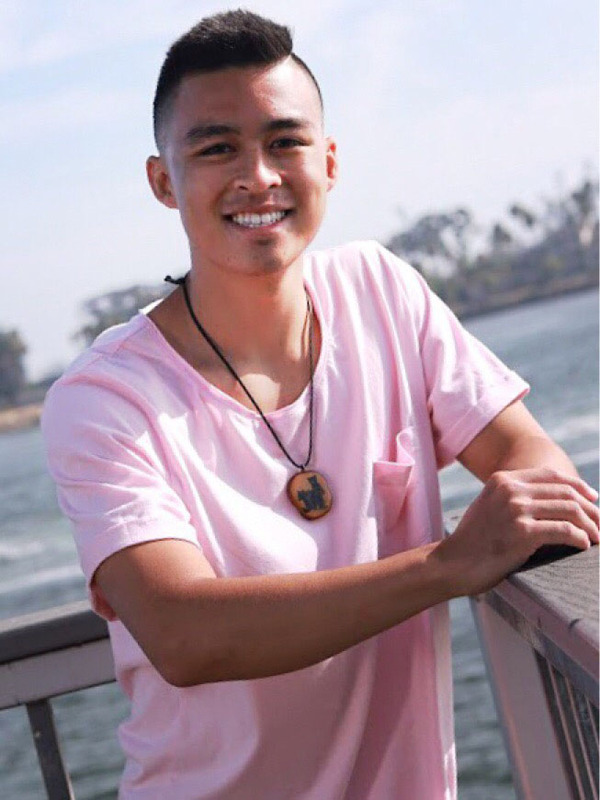 Hobbies/Interests: Basketball, volleyball, dancing, make up, going on adventures (food and places), Disney, Pixar, the medical field, Netflix, Hulu, Youtube, eating, and hanging out with family & friends. Favorite Song/Artist: My favorite artists are Beyoncé, Jessie J, Whitney Houston, Ed Sheeran, Sam Smith, Kehlani, Alicia Keys, and Michael Jackson. I don't have a favorite song. Craziest Thing you've ever done: Accidentally tearing the ligaments in my ankle... three different times. Favorite memory of FG: I have yet to experience Friendship Games. What Pasa has done for you: PASA has given me friendship, happiness, and opportunities. Something people don't know about you: I am a first-generation college student. Craziest Thing you've ever done: One time I threw a glass bottle from a roof onto concrete pavement, and it didn’t break. Crazy right? Favorite memory of FG: When that one guy couldn’t figure out that it was a whisk during Final Rampage. What Pasa has done for you: Given me an opportunity to enjoy college, meet some who could potentially be life long friends, and interning for the World of Dance Studio in DTF. Something people don't know about you: I used to be double jointed up until middle school, so I would gross my friends out by being able to bring my arms behind my head and around almost like a jump rope.